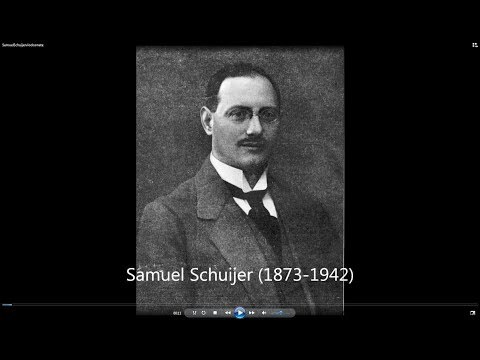 Samuel Schuijer was born in The Hague on September 9, 1873, son of Roosje van Kam and Abraham Schuijer. The family had a jewelry store on the Heerengracht 18. Five of the nine Schuijer children became professional musicians. Sam studied violin, cello, bassoon and music theory at the Royal Conservatory in The Hague. Shortly after graduating, he worked primarily as the principal bassoonist in various Dutch orchestras and also made a European tour with the Eduard Strauss orchestra as principal solo bassoonist. In 1894, he married Elizabeth Alter, an opera singer and actress. They had three sons: Abraham (pianist), Marinus, who died in infancy and Louis (cellist). In 1902, Schuijer was appointed chef d’orchestre at the operahouse in Ghent, Belgium for the opéra comique and operetta, and also worked for some time in Paris. He settled permanently in The Hague in 1916, and conducted the Kurhaus Orchestra. During the evening suppers at the luxurious Kurhaus Hotel, he performed into the early hours with the greatly loved cabaret artists Louis Davids and Margie Morris; their trio became known as “he, she and the piano.” As of 1918, he was second Kapellmeister and répétiteur of the French opera in The Hague. Schuijer acquired a reputation as a conductor, composer, violinist and as the owner of Sam Schuijer's Music School. In the first decades of the twentieth century, Schuijer already composed numerous songs “in the popular genre.” His work was often awarded by the Flemish Willemsfonds. And although his own music dramas and operas were performed successfully in that period, he did not earn enough to support his family with composing. In the 1920s, Schuijer formed his own orchestra and played in various restaurants like the cafe restaurant Hollandais and the hotel restaurant De Twee Steden in The Hague. He also provided the music to accompany the film Robin Hood with Douglas Fairbanks, and other films and theatre productions in the Odeon Theater. 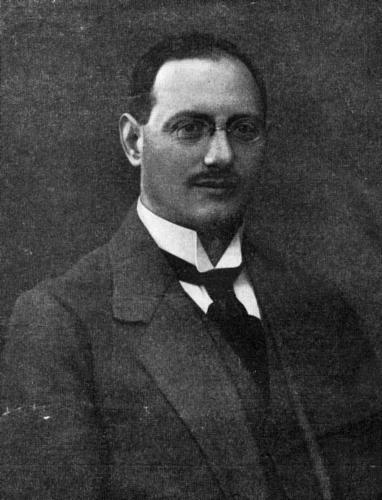 In 1923, Schuijer was appointed to the board of the Dutch branch of the French copyright society sacem. With violinist Eddy Waisvisz, viola player Sal Wertheim, and his son Louis, a succesful cellist, he formed the Residentie String Quartet, performing the classics; from Schubert and Haydn to Smetana and Debussy, but always including a Dutch composer on their programs. In December 1925, he advertised in the local newspaper Het Vaderland that the Sam Schuijer Music School, on the Oranjeplein in The Hague, was now offering piano, violin, theory and singing lessons. In the spring of 1927, the school moved to the Laan van Meerdervoort and the curriculum for beginners and advanced students expanded significantly with lessons for wind and string instruments, composition, conducting and music history. The school aimed to provide ‘Excellent lessons, from accredited first-rate teachers and at affordable prices.’ Next to Samuel and his son Louis, teachers included Sophie Haase-Pieneman (voice), Anton Witek (master course violin), Ella Alter (dance) and Richard Heuckeroth (opera). Meanwhile Schuijer continued conducting several orchestras. In 1927, he led the The Hague Philharmonic in music by Honegger, accompanying the film Napoleon at the Kurhaus. It was a shambles: the film kept getting stuck, musicians did not have a grip on the musical material and Schuijer conducted from a violin part. Honegger's music didn't make sense to anyone. Nevertheless, Sam Schuijer was a prominent and multi-faceted musician in the pre-war years in The Hague. His significance as a composer is less clear; there was minimal interest in Dutch music in the concert halls at that time. Even his well-known colleagues Dopper and Wagenaar, who later managed to get their names into Dutch music history books, were barely programmed. Schuijer openly expressed his outrage about this in an interview. He was unable to persuade the The Hague Philharmonic to perform his award-winning Preludium. And so he organized and conducted the premiere of the piece in Stuttgart with the Philharmonisch Orchester in an entirely Dutch program which included, among others the overture of the Driekoningenavond (Epiphany) by Johan Wagenaar. Schuijer's musical adaptation is not very original, but this composer understands his craft, and here and there he successfully captures the mood, so that Madeleine can be welcomed as a novelty. With standing ovations and flowers, the composer and lyricist were lauded by the Kurhaus audience. Schuijer's music has some quality with its skillful instrumentation. The various themes relating to different forms of love (selflessness, sensuality and sacrifice) are immediately recognizable and clearly expressed in the melodic structure. Both these themes and other dramatic effects are apparent, making it real opera music. Sam Schuyer one of the few Dutch composers capable of writing a dramatic melody, decorating it with various instrumental effects. A man of the theatre in heart and soul, who, with his Madeleine-music, however conventional, captivated me. The intermezzo from this opera, entitled Liebesopfer, was published by the Hannover based Musikverlag Louis Oertel, arranged for salon orchestra, symphony orchestra and wind band. Schuijer composed more music dramas, like Salomé (before 1908) and Schillers Handschuh for bass voice and orchestra. But it wasn't easy to get these works staged. It is unclear whether the opera Blank en Rood (White and Red) – about Red Indians and the Wild West – was ever performed. Its manuscript was also in that cardboard box, however incomplete. Schuijer was also interested in film music. His suite for large orchestra Rolprent (archaic Dutch word for movie) was intended for use by any film of choice.